My Opa took me on a tour of his garden. This man is an inspiration. He grows grapes. Isn't the color of his shirt fantastic? Ducks! 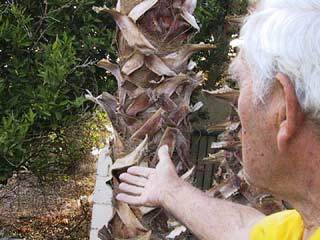 The sky in Desert Hot Springs was such a clear blue My Opa could teach me about any plant.